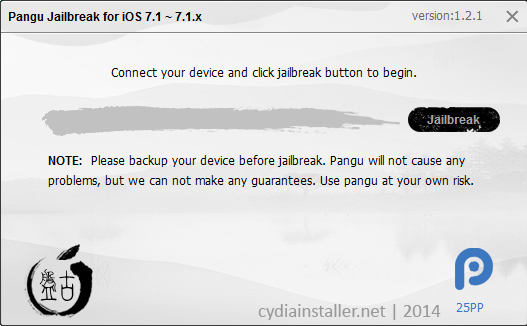 We like to show Cydia installation process with Pangu as follows. As we said earlier, you are unable to install Cydia without jailbreak your devices. So, Pangu jailbreak is ready to Cydia download on Windows and MAC platforms for all iDevices running iOS 7.1.x. Follow Me to get Cydia for iOS 7 versions. Here we have included all the necessary information & guide for jailbreak. So, you can Cydia install within few minutes of time using this real method. We guarant this method to success without any matters. 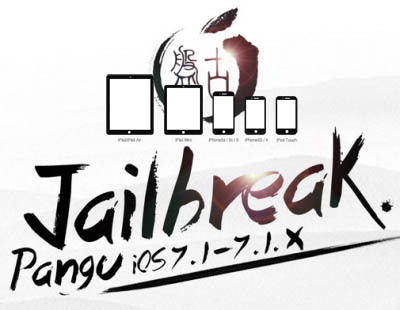 Turn off all security & Passcode before start jailbreak process with Pangu. Don’t worry! you can set it again after jailbreak process completed. Please Exit from iTunes and all related applications before use Pangu jailbreak tool. This will cause to produce errors in Pangu process. What can I do if Pangu jailbreak stuck somewhere ? Pangu team has tested this tool on many devices. This tool is using millions of users all around the world. So we can highly recommend Pangu tool for install Cydia for these iOS versions. However if jailbreak process stuck, Please remove device from USB cable and reboot it again. Then run Pangu tool again and keep in touch until complete your jailbreak process. If you found any error comments with us to find your solution. Download latest version of Pangu jailbreak tool from above links according to your computer platform. Run the downloaded Pangu software on your computer. Pangu will ask to set your device date as 02nd of June 2014. Go through your device’s Settings->General-> Date and Time, then change the date. This can be changed after complete the process. You can see necessary files are installing and after that Pangu icon in your device home screen. Then tap on Pangu icon to complete the jailbreak process. After all completed, Cydia will be appear on your home screen. Tap Cydia icon and search for the apps & tweaks available to modify & customize your device.